I know that when it comes to sending cards you don’t really get a more expensive time of year than Christmas. You need to send a card to virtually everyone you speak too from your next-door-neighbor to your child’s favorite teacher. Therefore, thinking of sending separate New Year greeting cards may be enough to make you, and your bank balance, groan. But with these free printable New Year cards it will be so cheap and so easy to make the cards, that there is actually no excuse for NOT doing it. And even if a SMS is way easier, the joy of receiving a real card is so much greater and heart warming. Click the card you like to get to the larger version that pops up in a new tab. All the cards are 3,5 x 5 inches. I find that receiving cards that show your friends, family and maybe co-workers think of you with warmth and wishes for a happy new year – that is a great way to start a hopeful joyful 2018. 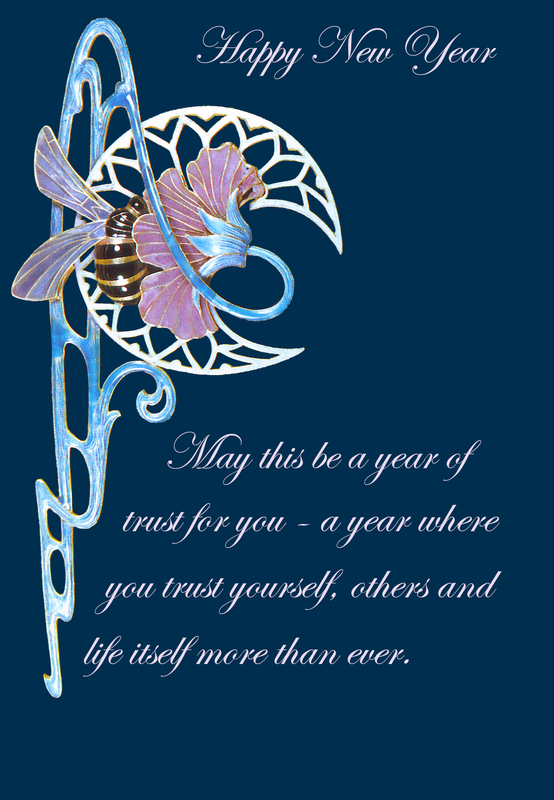 “May this year be a year of trust for you. 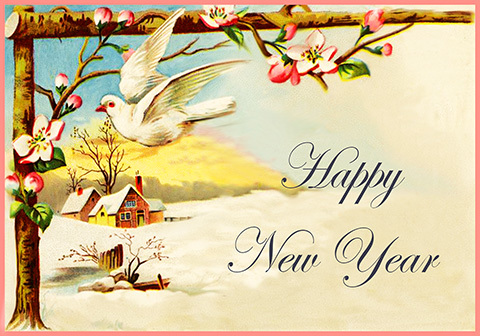 Below you will also find advice about sending New Year e-cards, and ideas about how to make the cards yourself from scratch. 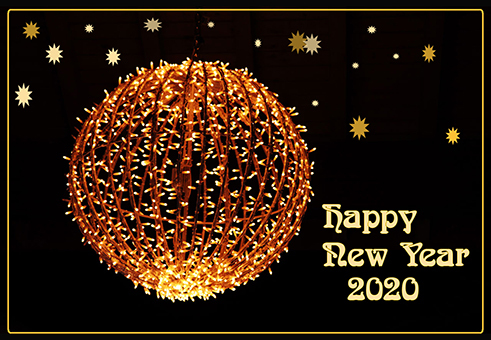 A New Year 2020 card, in gold and black. Elegant and very good to use for a more official greeting. Here comes two cards, restored from older vintage New Year cards. 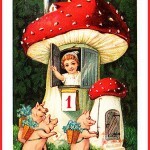 The first is a funny card, with a child living in a toadstool. Three happy pigs (for good luck) with forget-me-not flowers come with a letter. The next greeting card is art nouveau, also elegant and simple. This beautiful card gives memories of old days, and has a white dove and pink flowers, surrounding a snow landscape. 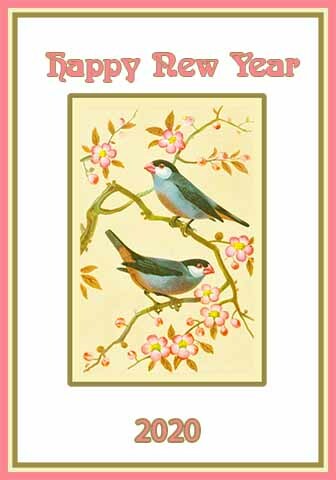 A delicate and simple Happy New Year card with birds and flowers. 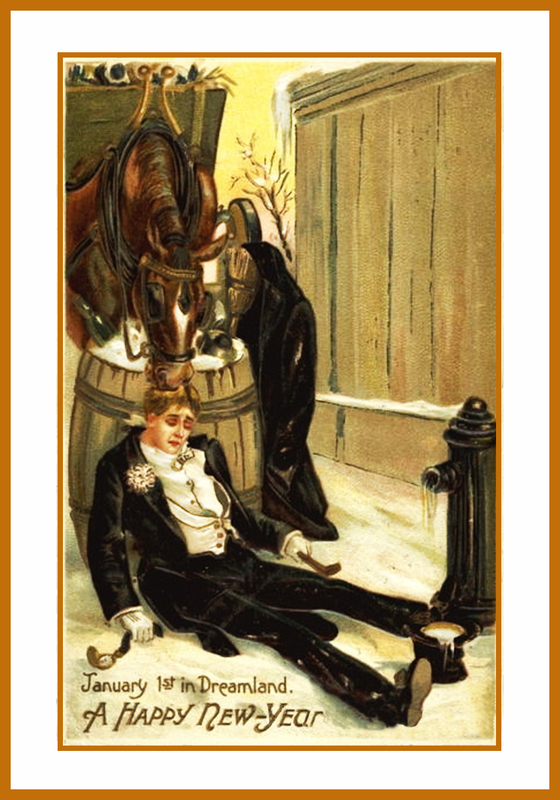 Here you have two funny printable New Year cards describing the terrible hangover you sometimes (often?) have January 1st. The other card here is an old card I have restored, with delicate snowdrops. A New Year greeting card in a more elegant style, and a very sweet card with two little sparrows under a red umbrella, protecting them from the snow. The blue card is made from a card from the page Printable Cards and a text from a page with New Year wishes. An ecard is an electronic greeting you send to the recipient via email. Over the last ten years, sending electronic cards has grown in popularity to the point that Hallmark, the UK’s largest card manufacturer, says they will be more popular than shop-bought traditional cards in just five years. Making them is simple, choose a site, design your card using one of the available templates, add your sentiments and send – it’s that simple. And, for the traditionalists among us, the person could even print the card at the other end, so they don’t lose out on displaying their card. And, even better, is the idea of sending New Year ecards, which don’t have to cost you a single penny but will still make the recipient smile. 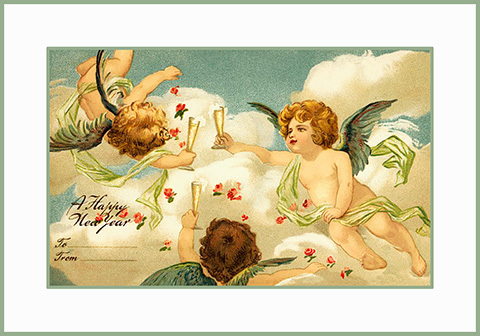 You can send any of the New Year greeting cards I have on my website as an ecard, although you will have to save to your computer and send to the recipient as an attachment to the email. 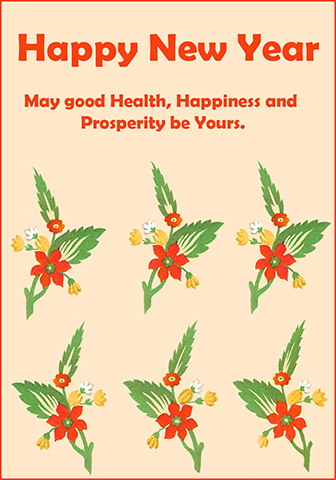 Other sites that offer free ecards include JibJab (see link below on this page ) and 123Greetings (also link at bottom of page). Of course, while reduced costs and avoiding the messing around of writing and posting envelopes may appeal to many people, it won’t be something everyone wants to do. 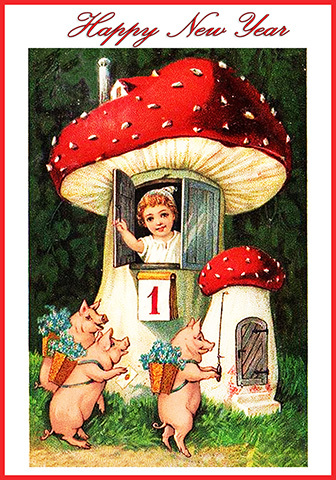 In fact, in a world fast becoming more and more modern every day, sending a card is one tradition you many not want to part with just yet. 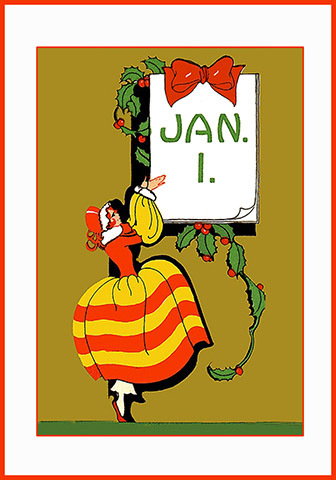 If that’s the case, you will definitely find what you need here to help you design and create your own New Year card. A little Pierrot meets a snowman. 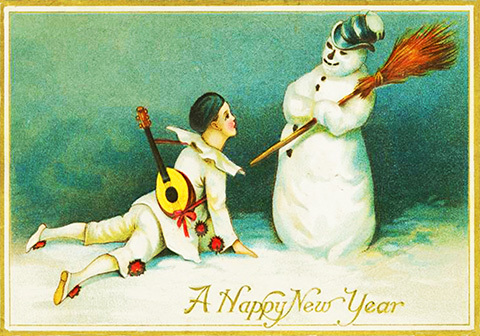 I think maybe the Pierrot has had two much to drink the night before, judged by the look at the snowman’s face. There is something extra special about sending handmade greetings at New Year, or indeed for any celebration. Handmade cards tell the recipient you have dedicated the time and effort into creating a card you know they will like, as well as choosing appropriate sentiments. And while it is always nice to receive a beautiful card, it is usually just a case of running into a shop and choosing something quickly – there is no real thought going into it. You maybe tempted to go with Christmas-related clipart for kids’ cards, such as snow flakes or snow men, and that will work fine. 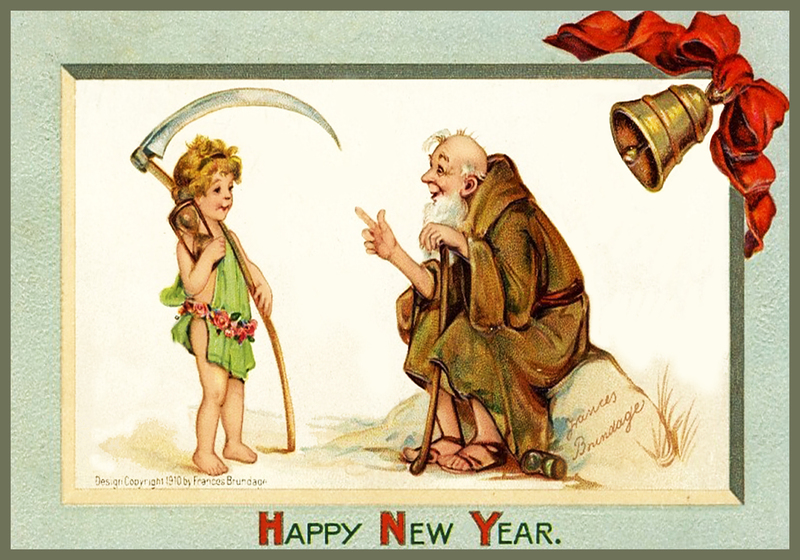 But the idea of a New Year card is also to look forward to the future, as oppose to the past. Therefore, items relating to a celebration such as balloons and stars, as well as maybe something they like to do will be good ideas. For example, for a young boy who likes bike riding, a bike with a balloon tied to the handlebars and a few celebratory stars will be ideal. For a girl who maybe likes ballet, you could have a tu-tu and ballet slippers, surrounded by stars. Cuddly toys, cars, musical notes, hearts and more are all suitable for a child’s New Year card. If you want to add more clipart pictures to your card, the Clipartqueen.com website has a truly awesome selection of drawings and clip art that is completely free to use. Teenagers are notoriously hard to buy cards for. Not quite adults and definitely no longer a child, it can be hard to think of original designs for a handmade card you know is going to a teen. While thinking of the teen’s hobbies is a good, adding something that will make them feel like they are being treated as an adult will really go down a treat. New Year wishes for young teens could include a picture of them with their family, older teens would probably appreciate a picture of themselves with friends. Not only would this idea make a nice keepsake, it will also appeal to every teenager’s ego. Alternatively, you could find the lyrics from their favorite song and print it on the front of their New Year card. Again, this idea is different and the teen won’t have another card like it. Technology-loving teens would probably be the most grateful recipients of a New Year ecard. Creating one either from one of my own lovely designs or a different ecard site and you can send it to their email, where they can view it on their PC, tablet or phone. When it comes to New Year greetings for adults, it doesn’t really matter what design you use. Classic New Year cards feature champagne bottles and glasses, bells, time pieces, streamers and party products and a whole host of other things. If you are planning on sending cards to your parents, siblings, aunts and uncles etc, you could make up a batch of the same card and just alter the sentiments inside to make it more personal to the person on the other end. 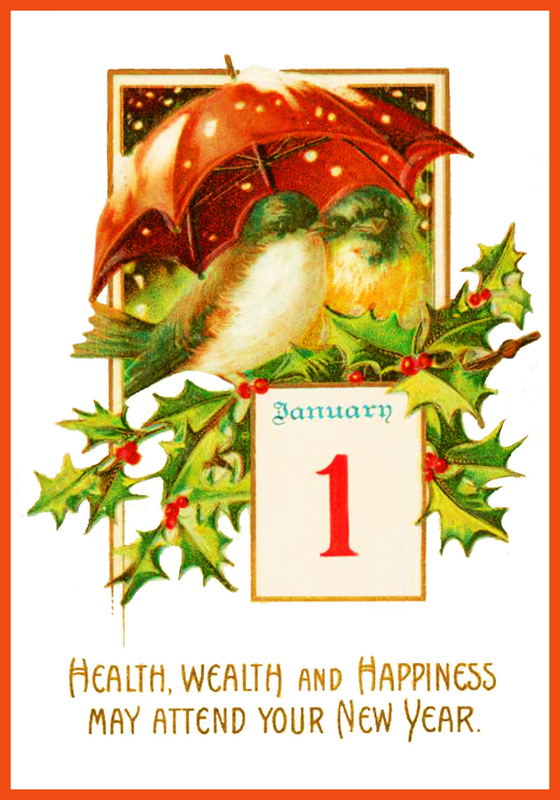 New Year is a time of hope and wishes for health, happiness and love for the year to come. You want your family to know you wish these things for them, so choose your sentiments wisely. New Year is also a time for appreciating commitments, no matter how new or casual, which means letting your spouse or partner know just how much they mean to you. No card for the person you love would be truly complete without hearts or flowers, so consider a design consisting of several different size hearts, a couple of champagne-filled glasses interspersed with sparkly stars. Again, a New Year greetings card for a partner will be more about the sentiments inside than the actual design. Whatever you choose to do, your partner will appreciate the time and effort you have spent creating them something so special. Top Tip – You will be amazed what a little bit of glitter or some stick on rhinestones can do to a simple handmade card. Consider blinging up your New Year creations by adding glitter accents or sequins. As well as creating a little bit of sparkle, it also adds texture and depth to your cards making them look truly special. As long as you have a computer and a printer, and if you want to make New Year ecards you won’t even need a printer, you have all you will need to make some brilliant New Year cards. A touch of creativity and a smidge of patience may also be required, but really, making your own cards using the templates I have designed for my website could not be any easier. In fact, four simple steps is all it takes and you will be ready to print off what you have made…. 1. 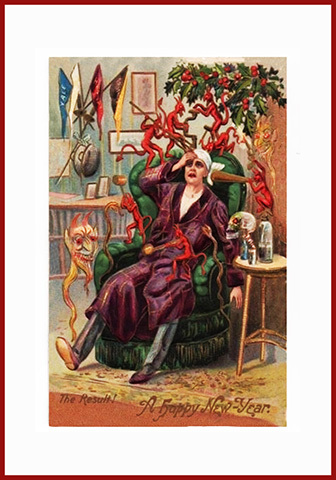 Choose the New Year card design you want to use. If you plan on making several different cards you will need to do one at a time. 2. Add anything you want to the card, such as clipart, photos, sentiments, people’s names and anything else you want. Ensure your chosen items fit well within the template and are the right size. 3. Choose the card you want to use. Go for quality card that isn’t too thick or you will risk jamming the printer. Colored card is nice, just bear in mind that if your card is too dark it may compromise the color of any clipart or text you have on your card. 4. Print! And that is it! Alternatively, you can save your card to your computer and send as an attachment to the recipients if you want to save time. Just remind them in the email that they can print off their New Year greetings card at their end for display purposes. The key to making a good New Year card is to keep it simple. Christmas is all about over-indulgence and over-the-top decorations etc but when sending your New Year wishes you may want to keep things simple. Adding a little glitter and some sequins can really give a card that extra special touch but just keep it to a minimum. • If there is more than one child, designate a recipient per child. This means they will get to make a New Year card each. Sit them down at a table and allow them to choose the card they want. 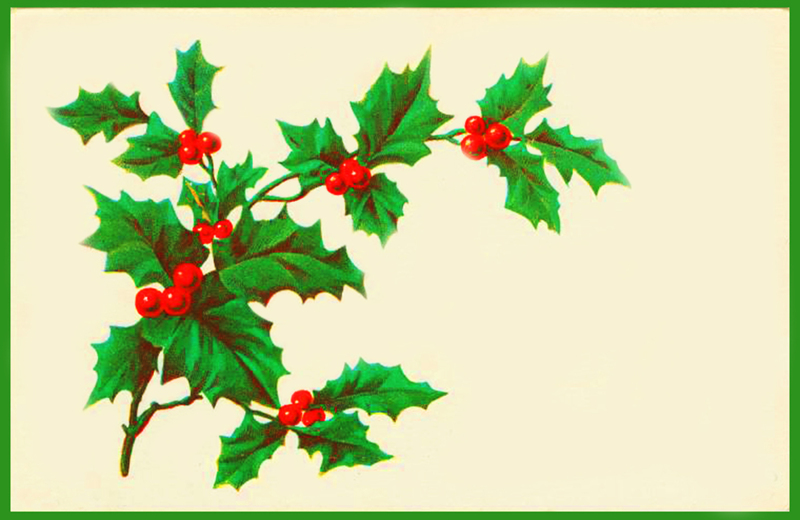 • Let them choose the design they like on the computer, encouraging them to add clipart and text to the card too. Do each child’s card one after the other, as this will allow them to decorate the cards altogether. • Once the cards are printed, take them back to the table and encourage them to decorate the New Year greetings cards with embellishments, glitter, buttons, gems, sequins and anything else you think will be appropriate. 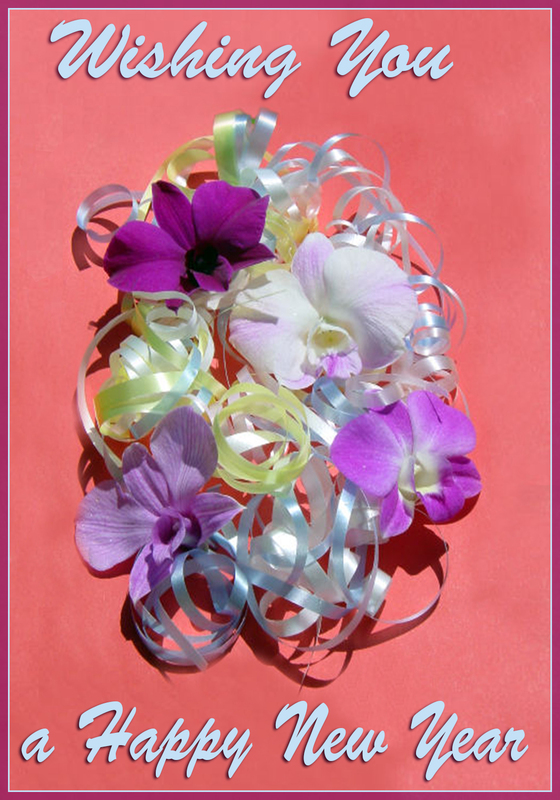 • The end results will depend largely on the age of the children but, no matter how good or bad the end result turns out to be – not only will you have appealed to the child’s creativity and kept them occupied for an hour or so, the grateful recipient will have a beautiful keepsake they can keep forever. • Distance – If your recipient lives far away, especially if they are in another country, sending an Ecard is not only much quicker and cheaper, it is also more reliable. • Recipients – Younger people will probably appreciate an Ecard more than older people, who may not have access to or know how to work email. If you know someone you are sending a New Year greetings card too has no access to an email account, then it is pointless sending an Ecard. • Occasion – The occasion you are celebrating may also have some bearing on whether you send handmade cards or Ecards. Where as everyone celebrates New Year, Christmas and Thanksgiving, celebrations such as milestone birthdays and anniversary are poignant and personal celebrations. You may find the recipient appreciates a handmade card in this instance, so they can put it away somewhere safe as a keepsake. 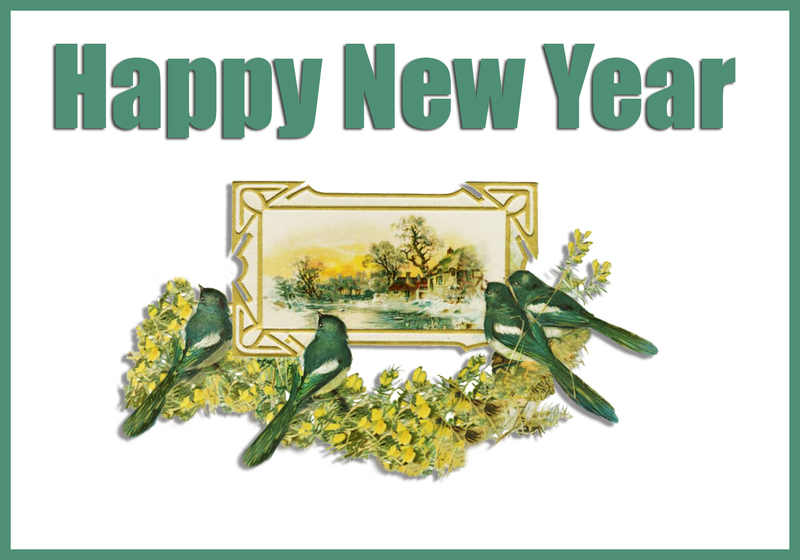 • Time – How much time you have to spend making New Year cards will also influence whether you send Handmade cards or Ecards. 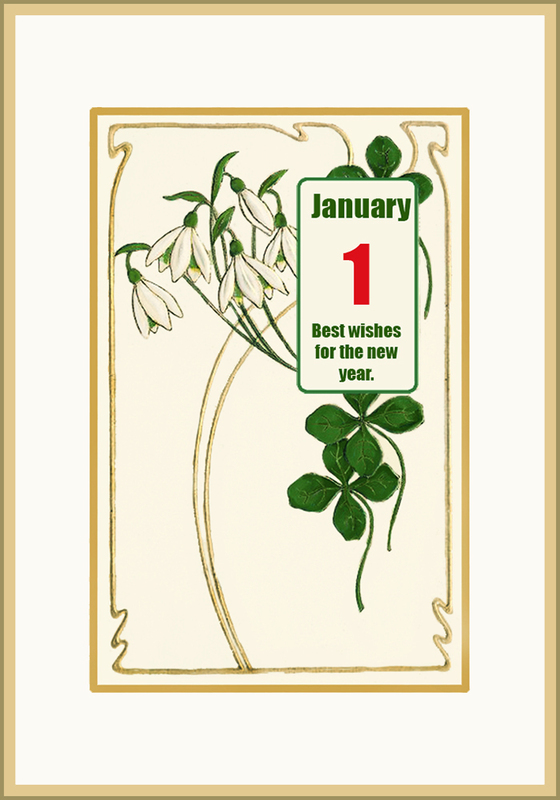 Designing and sending a New Year Ecard takes no time at all, so this option is ideal for those with little spare time. 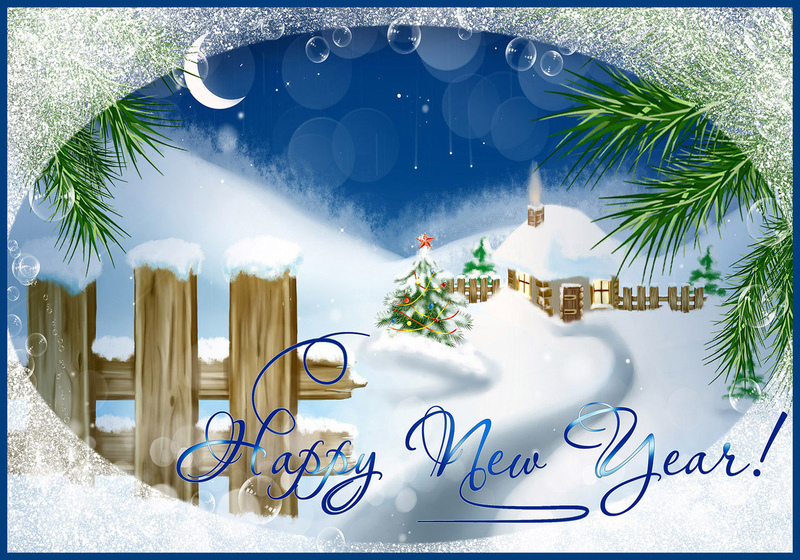 However, the New Year card templates available on my site are easy and quick to do, if you are looking for a simple card to send your New Year wishes. Unlike many other greeting card sites, all of my templates are free to use and I actively encourage people to use as many templates and pictures as they want. However, before you do use my site I kindly request you read my very lenient usage requirements on the home page. Thank You.